Julie Girling is a Member of the European Parliament from the European Conservatives and Reformists Group (ECR) and is member and spokesperson of the European Parliament Agriculture (AGRI) Committee and the Conservative Agricultural. In addition, she sits on the Environment, Public Health and Food Safety (ENVI) Committee. 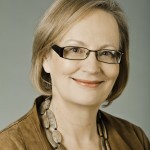 Julie Girling was elected MEP for the South West of England and Gibraltar in June 2009. MEP Julie Girling will deliver the key note address ahead of Panel 1 discussion on the issue “Risk-based policy making in Europe: lessons from the European Parliament” at the EU Risk Summit on 11th – 12th June 2013 in Trinity College Dublin.